This bus and coach washing system is an ideal purchase for bus fleet managers, responsible for cleaning their vehicles quickly and economically. 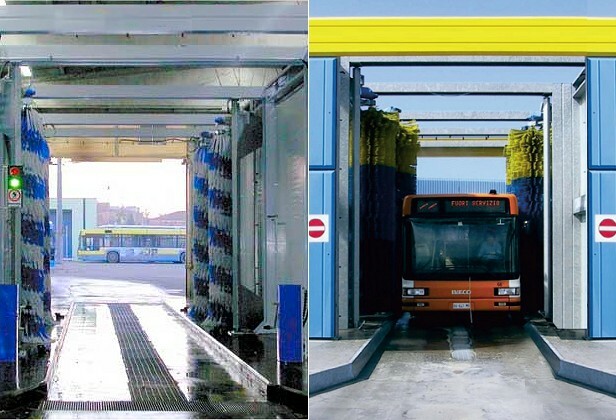 Built from rigid, galvanised frames, the bus wash can be installed in various sizes with wash combinations to suit all types of vehicle and fleet sizes. This washing system is a fixed one with 4 vertical brushes, 1 horizontal brush and total side closing. The automatic cycles can be set to meet the operator choices and fleet size and can wash up to 30 vehicles in an hour.